ASB's economists are expecting Fonterra to be on the "front foot" when it reveals its first milk price forecast for new dairy season next week. In recent times the ASB economists have had a pretty decent track record picking the milk price level. Senior rural economist Nathan Penny is expecting "a healthy forecast of $6.50/kg or better" as Fonterra's first pick for the new season. BNZ economists are thinking similarly, picking a $6.60 opening forecast for Fonterra for the coming season. The economists have been sharpening their pencils following the latest GlobalDairyTrade auction early on Wednesday. 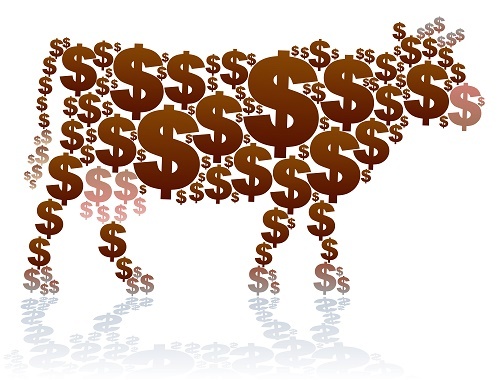 Penny said the ASB economists had recently highlighted the potential for butter prices to spike over the coming months and had also noted the slide in the Kiwi dollar/US exchange rate and the boost that was giving to dairy prices in NZ dollar terms. "In this auction, the two have combined for double the effect. "The global butter shortage has become more acute on the back of soft NZ production this season. Recall that NZ exports nearly double the amount of butter than the other major exporters combined. Accordingly, butter prices have spiked by around 30% so far this year and are only 4% below the record levels set back in September 2017. "The recent slide in the NZD/USD has been smaller, but nonetheless significant. As at the time of writing, the NZD has dipped over 5 cents (7%) against the USD since the April high. The net effect of the two moves sees has pushed dairy prices in NZD terms to their highest level this year," Penny said. With this in mind, he said there was clear potential for ASB's milk price forecasts to move higher. "We will preview the Fonterra announcement next week and update our own milk price forecasts for 2017/18 and 2018/19," Penny said. At the moment ASB's forecast for the current season is in line with Fonterra's official forecast of $6.55, while for next season ASB's currently picking $6.50. BNZ senior economist Doug Steel, in going for a $6.60 price (up from just $6.10 previously), said this follows on from recent favourable dairy price dynamics, firmly rising oil prices (despite a stronger USD), some sell down of the massive EU stockpile of skimmilk powder without undue influence on the broader market, and a lower NZD to date. "Of course, our upgraded forecast of $6.60 sits within a wide range of outcomes that are possible when the 2018/19 season’s milk price is finalised in over a year’s time. Risks to any milk price forecast are large and ever present. "Our 2018/19 milk price forecast is dependent on our view that international dairy product prices will drift somewhat lower over the year ahead as EU milk production expands and changes to the EU intervention scheme (tendering rather than minimum price buying) may weigh on prices (over and above the influence of the large SMP stockpile). We are also wary of the US export focus increasing and dairy prices still looking stretched relative to grains. "At this point, we would highlight that a higher than forecast milk price is likely if international prices do not drift lower as we anticipate and/or if the NZD were to continue to decline." Steel said in "the bigger picture", a third consecutive milk price above $6 will support good cashflow to the dairy industry. "For the economy, buoyant dairy prices are beneficial to the nation’s terms of trade and helpful to the external accounts and overall growth. However, these positives are currently being tempered by higher oil prices. And there is some concern around the chilling effect that the cow-disease Mycoplasma bovis might have on production, activity, and investment as it affects farm operations and lifts costs." Westpac's not quite so optimistic on the season ahead, with senior economist Anne Boniface forecasting a $6.40 milk price saying the dairy sector is facing big challenges on many fronts. On the Mycoplasma bovis infections, Boniface said recent developments seem to swinging the dial in favour of containment and management of the disease. "If this is the case, the industry is set to face increased costs for animal healthcare, and also potentially contributing to management of Mycoplasma bovis on an industry wide basis, just as other major dairy exporters Australia, Europe and the USA do. "But whichever way the path the industry goes down, already fragile confidence in the sector has taken a big knock. Not only by the incursion itself, but also widespread discontent about how MPI is handling the process. "For now it remains a case of watch this space. It might well be a $6 plus milk price which provides the sector with some welcome stability over an otherwise turbulent year ahead."